Controversy surrounds the green credentials of hydroelectricity because of the potentially large emission of greenhouse gases (GHG) from associated reservoirs. However, limited and patchy data particularly for China is constraining the current global assessment of GHG releases from hydroelectric reservoirs. 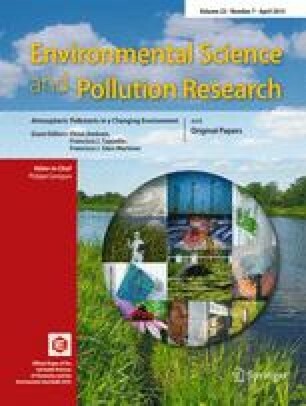 This study provides the first evaluation of the CO2 and CH4 emissions from China’s hydroelectric reservoirs by considering the reservoir water surface and drawdown areas, and downstream sources (including spillways and turbines, as well as river downstream). The total emission of 29.6 Tg CO2/year and 0.47 Tg CH4/year from hydroelectric reservoirs in China, expressed as CO2 equivalents (eq), corresponds to 45.6 Tg CO2eq/year, which is 2-fold higher than the current GHG emission (ca. 23 Tg CO2eq/year) from global temperate hydropower reservoirs. China’s average emission of 70 g CO2eq/kWh from hydropower amounts to 7 % of the emissions from coal-fired plant alternatives. China’s hydroelectric reservoirs thus currently mitigate GHG emission when compared to the main alternative source of electricity with potentially far great reductions in GHG emissions and benefits possible through relatively minor changes to reservoir management and design. On average, the sum of drawdown and downstream emission including river reaches below dams and turbines, which is overlooked by most studies, represents the equivalent of 42 % of the CO2 and 92 % of CH4 that emit from hydroelectric reservoirs in China. Main drivers on GHG emission rates are summarized and highlight that water depth and stratification control CH4 flux, and CO2 flux shows significant negative relationships with pH, DO, and Chl-a. Based on our finding, a substantial revision of the global carbon emissions from hydroelectric reservoirs is warranted. The online version of this article (doi: 10.1007/s11356-015-4083-9) contains supplementary material, which is available to authorized users. The research is funded by the National Natural Science Foundation of China (No. 31100347 and No. 31130010), Youth Innovation Promotion Association, the Chinese Academy of Sciences, China, and postdoctoral scholarship in Southern Cross GeoScience, Southern Cross University, Australia.